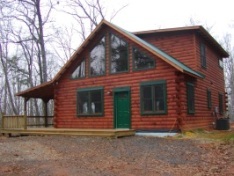 Local builders in Murphy North Carolina specialize in designing and building log homes and cabins in the mountains. 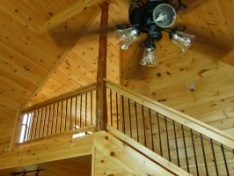 Check out these pictures of log cabins and log cabin interior photos that show some of the work done by local builders. We make a personal commitment to bringing the highest level of craftsmanship to all of our projects. Details really do make the difference! Log Cabin Connection is dedicated to building quality, low-impact houses using sustainable resources and providing a high-end product for a reasonable cost. We take the extra care and time to make an ordinary house an extraordinary home. We have been log home builders and involved in the cabin industry in Murphy, North Carolina since 2003, focusing on log homes and natural, rustic details designed to incorporate our clients love of the outdoors with a comfortable, solidly–built structure. Here at Log Cabin Connection we appreciate local craftsmen who build efficiently, with skill, integrity and care; builders who are continuously seeking innovative solutions to unique building situations, incorporating interesting materials and mixing textures. We understand how important the details are and strive to get them right the first time. Log Cabin Connection believes that improving energy efficiency and using resources with care can save you money by lowering utility bills and reducing maintenance, giving you a high-performance home. At the same time, energy efficient or green building provides greater comfort, improved indoor air quality and reduces the impact we have on our planet. Local builders in Murphy, North Carolina strive to maintain the beautiful natural resources that the area is known for. 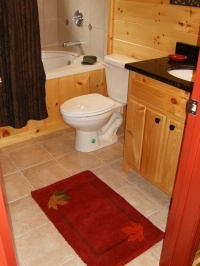 At Log Cabin Connection we are happy to work with you to make your cabin building experience enjoyable and stress-free. We believe in open lines of communication with plenty of information flowing in both directions. We try to listen to you so we can exceed your expectations and to keep you fully informed every step of the way. 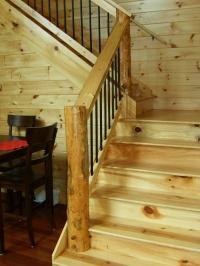 Our intention is to promote the building of quality, clever log homes. We personally immerse ourselves in every aspect of the project from design to finished home and pride ourselves on maintaining the highest standards of craftsmanship. Each project is handled individually, beginning with a site visit by local builders in Murphy, NC to evaluate the best possible layout and orientation in order to provide you with the optimum design for the local codes and conditions.